We talked about the amazing technical expertise and innovation at Lume Restaurant. Rated by Gault and Millau as the number 1 Restaurant in Australia, and amazing experience with some great technology, including the Tock booking system which has allowed them to cut no shows to virtually zero. This episode covers process for creating an annual marketing plan. 1. Review you monthly, weekly, daily and hourly revenue. What are the quiet times and when are the busy times. This helps you understand what work needs to be done to increase the profitability over the year. 2. What holidays are there in your country? 3. We go over the List of International Observances. Got a quite period with no public holidays? Look at this list and there are bound be to a few days around them that you can run a campaign around. We look at some of the days that you can run marketing campaigns around. 4. Look at your seasonal menu that you want to run. 5. Start looking at partnerships that you can run to avoid the troughs in revenue. 6. Look at targeting customers for each hour that your Restaurant is open. Look at variable pricing throughout the day and week to maximise yield. Have a think about how you are growing your email marketing database and the events that you can use to market to that list. We look at how your planning can help with your goal setting. James: Welcome back, everyone! I hope you got a lot out of the restaurant trends podcast. It’s been huge, we’ve had hundreds of people looking at that every day. So, already one of our most popular podcasts and I think because it really has touched on, it’s quite wide-ranging some of the trends that we look at. The meta-trends, you know, the rise of technology as well as the competition. I think that resonated with a lot of restaurant owners, because that’s what they’re seeing out in the market place. That’s definitely what we are seeing and the trends that that fed into. 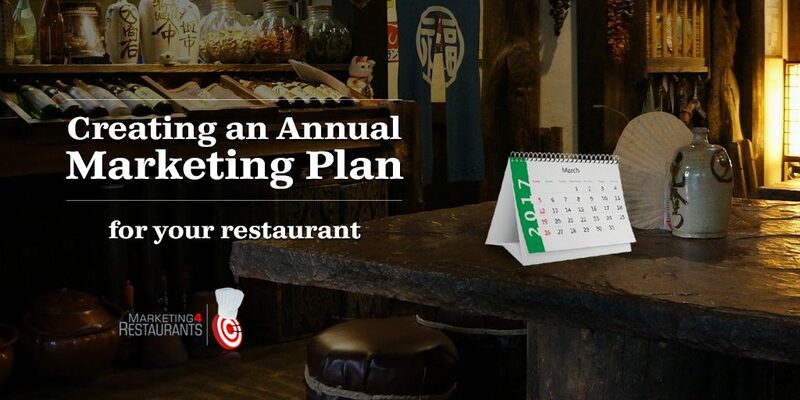 So, we’re going to talk about a couple of things before we get into how to create an annual marketing plan, so important to be able to do that. And I think there’s some great examples of people who’ve done a really good job of laying out an annual marketing plan. We’re going to talk about that in a lot more detail. Firstly, Delivery Hero is leaving Australia. So, that’s a really big interesting piece of news. We found out when we got an email from them saying that our account was being closed because they were no longer servicing customers in Australia. Now, this is really big news for anyone who’s doing takeout. Not just in Australia, I think because it shows the trend that this is going to. Most of the markets are only big enough for one online marketing company. The costs that they incur are really quite massive to build their businesses. And so, they need to have pretty much a monopoly to be able to make them sustainable if they’re sustainable at all. So, in Australia you’ve got Foodora, Deliveroo, and Uber Eats who are doing delivery component and from what we’re seeing, Uber Eats is killing it. The other guys nowhere near as much. And we talked to one restaurant owner who’d had 85 deliveries in one day from Uber Eats and one from Foodora, and I think their Deliveroo system had broken and they didn’t care because they didn’t get any orders from them. The other two are a long, long way behind. Which is fine, because it means that there’s quite a bit of competition for Menu Log in those areas that Uber Eats is servicing. For everyone outside of that area, very little. It’s only Menulog, or of course the free restaurant online ordering system. So, our big pick is that it won’t be long before Menulog is putting their commission up and I think that that’s a really bad thing. Whatever they’re charging, whatever you’ve been able to negotiate with them now, it’s probably going to be going up now that Delivery Hero’s moved out. No competition, unless you’re able to get Uber Eats, then it’s going to be really tough. Particularly with the variable pricing schemes that they’re often putting forward. I think that it makes it really hard for you to plan just how much you are going to sell on a weekly basis. The second thing that’s really exciting for us, we were so lucky to be able to eat at Lume. So, Shaun Quade’s restaurant, we had dinner with Veronica Fil. Really, really exciting to see a restaurant where you’ve got a couple of things that are coming together to create an amazing dining experience. The first thing is the technical expertise. The team in the kitchen just, the dishes that Shaun has put together, as well as the way that they are crafted, it’s quite an open restaurant so you can see what’s going on a lot of the time. And the attention to detail, half of the dishes they looked too good to eat, they were meticulously put together. The innovation in the food was amazing. The Sea Corn Taco, you kind of, you know, it’s the first meal. We had the road trip, which was 14 dishes. Sea Corn Taco it looks quite unassuming, it’s beautifully prepared but you kind of think, “Yeah, I know what this is all about.” You put it in your mouth and all of your reality falls apart, because it is, it’s very different to what it presents itself as which is really exciting. That’s what you want to see. The Pearl of the Deep, that was great, as well. I actually loved the cheese dish, smoked cheese. Really amazing taste, absolutely amazing. With a croissant, of course, so that’s even better. These guys were rated only a couple of months ago by Golden Merlot, a French restaurant guide, they were rated Australia’s number one restaurant. And, you know, it’s pretty easy to see why. Just amazing technical expertise, great attention to detail, and the innovation. And I think that that’s the thing that, you know, people are really looking for. You want to be able to create an experience. Just having great food isn’t good enough. You want to be able to create that experience. And the number of times that we took that first bite of one of the dishes and it was like, “Wow, that tastes amazing.” They do a lot of thinking, you know, about the psychology of food. The whole event, one of the meals that I thought was really amazing, and I can’t even remember which one it was, but it reminded me of pancakes that my nan used to make. Just very simple lemon, sugar pancakes. I’m not sure if that was the intent, I’m not sure if that’s the taste. But that was what I immediately thought of and it’s like, “Wow.” You know, and it’s bringing in those experiences. And it was very much, it wasn’t even a pancake, it was just the taste that was there, so interesting. The flavours, the whole experience was amazing. The other thing that I’m really amazed about what they’re doing is the way that they’re using technology. And we talked about this in the trends that we’re talking about, the CRM system that they’re trying to build. They’re using the Tock booking system, which I think is a really amazing way, particularly in fine dining. You’ve got all of these issues with no-shows, they’ve been able to cut their no shows to virtually nothing, which is really amazing. And they’ve been doing all sorts of interesting things including working with virtual reality goggles. Now, when you’re looking to create an experience for you diners and you’re taking something that is completely disparate to the normal restaurant experience, like VR, it really gives you the opportunity to see how that fits in with the experience that you’re trying to create. Now, are all of these things going to work? No. But the thing is that you’ve got restaurants out there like Lume that are trying some of these things, learning and refining the way that they build their experiences. And where there’s experience, there’s margin and I think it’s really exciting to be seeing cutting edge restaurants like that in Australia, which is awesome. So, yes, thank you, Shaun and Veronica. It was amazing, and to the whole team at Lume. It was a great experience. Now, an annual marketing plan. This is really, really interesting because one of the things that we struggle with with some of our customers is we’ll send out an email saying, you know, “You should be thinking about this, you should be thinking about that.” You know, Father’s Day, Mother’s Day, and some people will contact us three days before and say, “What should we do about Father’s Day?” So, we’re based in Melbourne, so we do a bit of work around Melbourne Cup day. It’s on a Tuesday, it’s the race that stops the nation. We take our horse racing very seriously in Australia. Some restaurants, it’s on a Tuesday, so some restaurants will contact us on the Friday before and say, “What should we be doing about Melbourne Cup?” And it’s like, “Oh…” So, the process that you want to do for a marketing plan is: A.) You want to think about what it is that you want to achieve. You then want to think about the offer, and we’re not talking about the discount but the offer. Particularly on something like that when a lot of people want to go out, you don’t need to offer something you need to come up with something. And often, you know, the packages that people come up with are more expensive, because it’s Melbourne Cup, Father’s Day, Christmas day, all of those sort of things. You’re able to create a package that’s at a premium to what you would normally charge. So, these are really, really important days. Then you’ve got to create content around it. You’ve got to come up with, you know, some imagery conveying that offer. Then you’ve got to come up with a distribution plan for it. Where are you going to put it? Are you going to put it up? Are you going to put it on Facebook? Are you going to put it on your website? Are you going to email it out to your customer base? All of these sort of things are the kind of things that you need to be thinking about. And if you’re doing that two or three days before an event, it’s probably too late. You’ve probably missed the boat on that one. So, which is why, you know, if you’re listening to this as soon as it comes off the press then it’s going to be January. Now is the time to be getting a calendar out and going through the process for creating an annual marketing plan. And I’m taking a little bit of liberty about this when I talk about the annual marketing plan, because I think, like, at the end of the day what are we looking for? We are looking for increased profitability. We’re looking for more customers. We’re looking for the kind of profitability that’s going to allow you to spend a little bit less time in your restaurant, okay. So, creating an annual marketing plan, we need to go a little bit further than just thinking about, “When is Father’s Day? When is Mother’s Day? What are all of the national holidays in our country? What’s our Thanksgiving Day strategy going to be?” What I want to do is break it down into something that’s a lot more granular for you to be able to create significant profitability changes with your marketing plan. So, the first thing that you want to do is you want to look at your figures for last year. Now, hopefully, like what poll system are you using? Hopefully you’re going to be able to look at monthly, weekly, daily figures. Right, so these are the things that I think are really important. When are your quiet months? When are your quiet weeks? And when are your quiet days? Now, and the other thing that I think is really, really, really important is when are your quiet hours? One of the things that, you know, some restaurants will think about is, “Wow, you know, we get the team in early so that we can do all of the prep. So, it’s just back of house that’s working and front of house will come in a little bit later.” So, if you brought front of house in and you were able to serve a few people, would you be able to create some sort of early bird or special menu that didn’t require a lot of prep in the kitchen, because they’re doing prep now. Could that be your happy hour? Now, when you think about it, the number of hours that you’re open, the number of hours that you’re paying wages, all of those sort of profitability calculations, if you’re open for a little bit longer even if you’re not making enough money to be profitable, you’re defraying a lot of those costs. Your lease, the time that you’ve got the kitchen in doing prep. So, some significant savings that could be had by creating, effectively, a happy hour menu. You know, it doesn’t need to be overly discounted, it might just be like a bar menu. And we’re starting to see a lot more restaurants experimenting with this to try and look at those sort of things like revenue per available seat hour. So, what you want to do when you’re analysing your figures for last year is you want to identify the problem times. The next thing you’re going to do obviously is you’re going to look at the holidays that you have in the country that you’re in. So, you know, Thanksgiving, Easter, Christmas. What is it that goes on in your country that you can actually start creating a marketing opportunity around? Now, one of the things that you want to look at is how busy were you on those previous days? I know in Australia, where penalty rates for wages are really high, there are a lot of restaurants who will close on public holidays because they can’t actually fit enough people in there to be able to make it worthwhile. And a lot of others will actually charge a surcharge on public holidays because they’re trying to make it economically viable to be open on those days. These are the things that you want to start thinking about. There’s nothing worse than working so hard and having a really, really, really busy day, serving heaps and heaps and heaps of customers, and then looking at it at the end of the day, looking at what’s in the till then thinking, “Well, hang on a sec, I had this many front of house, this many back of house. Take my food costs out, I’ve broke even.” Or, maybe even worse, lost money. That’s really sad, you need to be thinking about that. And coming up with a strategy to make it profitable or not opening. Because too many people open when they potentially shouldn’t. That’s another thing that you want to be thinking about. You then want to, so you’ve got your calendar, now the next step on from that. So, you’ve got your gazetted public holidays in there and that’s fine. And the next thing we want to start looking at doing is what are the other days that you’ve got? Now, there is a link international observances in Wikipedia, I’ll include this in the show notes because this is a great little idea for you. Think about your local area, think about all of the community in which you work in. Some of these are no brainers, okay. So, one of them is international Valentine Day, February 14. Wow. So, that’s kind of a no-brainer. I would have thought that most people would have got a plan around that already. You’ve got World Radio Day. Now, do you have a local radio station? Could you run a promotion with them? There is World Wildlife Day, International Day of Happiness, World Theatre Day, English Language Day. If you’re in a country that English is a second language, you know, you could do that. Do you want to get some local poets in to talk about, you know, to do a poetry recital? And there are hundreds of these days. International Dance Day. International Jazz Day. International Midwives Day. Is there a local hospital? Do you want to do a special deal for all of the midwives to say thank you for them? International Nurses Day. International Day of the Families. What’s the kids special going to be? International Museum Day. Greek Pride Day. There’s Mother’s Day. Global Wind Day, that’s probably less relevant. If you come up with something that would be awesome, let me know about that. International Tiger Day. International Beer Day, come on. That one’s a gimme, that’s an easy one for most people to be able to come up with some ideas around International Beer Day. That’s got to be an awesome celebration. International Coffee Day. World Teachers Day. Now, there’s got to be schools around in your local community. Do you go out and offer, you just contact those schools and say, “Hey, we’re coming up to October 5, World Teachers Day, and we just want to thank all of the teachers for, you know, teaching all of the kids in the local community. So, come in and have a free beer on us.” Do something, you know, “Get a free entrée.” Or, you know, let’s go a little bit further, let’s not discount like that. What would be a meal for teachers? How are you going to, are you going to create a little entrée that’s in the shape of a book or a scroll? Something around those days, let your creativity run wild because that’s where the magic is, when you create that sort of opportunity. World Thrombosis Day, let’s skip that one. That’s probably not appropriate. World Vegan Day, November 1st. If you’re serious about your vegan cuisine, perfect. Celebrate that, put that out on Facebook. Target people who are vegans, “We’re celebrating World Vegan Day. We’ve got out five tastiest vegan meals, please come in and try them.” Easy. Easy, easy, easy. World Hello Day. Now, do you want to do a communal dining thing where you could celebrate that? Now, some of these are going to work, some of them aren’t, particularly if it falls on a day that’s going to be quiet anyway at least have a crack at trying to come up with something that would work for you. and I think that there’s a whole heap of days in here that would be perfect for you to go through, and you’ll probably be able to find 10 of them or 12, 1 a month, that’s going to work for you. Where you can target a new demographic. International Civil Aviation Day, December 7. Is there an airport nearby? Do you want to target all of the pilots who live within 20 kilometres of your restaurant? “Come on in, show us your pilots license and get a free blah.” Easy. Really, really, really easy. And I think that we’re now starting to, particularly on these days when they fall on a Tuesday or a Wednesday, we’re now starting to come up with some really interesting ideas to have more profitable days which leads into more profitable months, which is going to make for a really profitable year. And that’s exciting. One thing that a lot of restaurants do is they’ll have seasonal menus, but I am amazed at the restaurants that don’t. They don’t have a seasonal menu and they don’t even have seasonal offerings. There’s nothing that’s driving people that relates to the weather. Go to your local weather website and find out what the average temperature is. So, in Melbourne we’ve had some really, really, really hot days. It’s been 35 degrees, which I don’t know, what’s that in Fahrenheit? 95. So, pretty hot. Do you have like a slushy? Have you got a really nice cold dessert? Have you got cold beer on tap? What is it that you are doing around the season to be able to drive people in. You know, “Grab a beer on the way home and have one of our signature entrees.” That sounds great. So, add in the weather. Then you’re going to want to start, in those areas where, so you’ve done your gazetted public holidays, you’ve then come up with annual days. The next thing to do is start thinking about, “Okay, here is a two-week period where we don’t really have a lot going on and it’s a quiet month. Right, okay. So, we’re in the middle of winter, what are we going to start thinking about?” How are you going to drag people out of their homes and get them to come in? This is when you want to start putting out you’re a grade marketing material. And I am thinking about let’s get a local vineyard, a local winery with a sommelier and let’s do a matched pairing of, you know, four or five of your best dishes with a local wine. Or, is it a Chinese restaurant? You know, is there some Chinese wine, potentially, that you want to showcase? What is it there that you can start to do around the food that you’ve got? These are going to be the ones where you’re going to really try and avoid those troughs in revenue, and there are 101 of these ideas out there. One of the things I’ve gotten a lot of feedback about is Language Nights. So, if you are a Spanish restaurant you should be teaming up, what you’re desperately looking for is a place, a college that does night classes or even afternoon classes in Spanish, and offer them a special deal. “Come in on a Tuesday night, we’ll speak Spanish with you and you can practice your Spanish and, you know, get a discount or, you know, have a special menu item. We’ll give you the Spanish only menu.” So, print a special Spanish-only menu. They have no choice but to go through that menu and try and decrypt it. Once again, what is it that you’re selling? It’s not food. I hate marketing food, it’s so difficult to do. But let’s sell an experience. Wow, how much easier is that? This is awesome. I am not “habla espanol un poco.” That is much more exciting, and that’s the opportunity. So, what we’ve done here is we’ve gone and we’ve found someone who then you can drag in on a regular Tuesday night, so they’re going to spend two hours practicing their Spanish and then they’re going to come in and then they’re going to use it in real life. They’re going to be speaking to Spanish waitresses and having that experience of interacting with them ordering from a Spanish menu. In all seriousness, that is almost like being exactly in Spain or any of the Spanish speaking countries. That is a really, really, really big benefit. And so, if it is Spanish, that could apply for anyone. You know, Argentinian, most of South America, Mexico, all of those sort of places. A great opportunity to fill in on that Tuesday night. So, if it’s not cuisine based, if you don’t have a language speciality in your restaurant or even if you are an Argentinian barbeque restaurant but you speak English. Let’s go to the next step. What are the clubs that operate on a Tuesday night in your local area? Look at the local guides for things to do. Classes that are run, who are doing things on a Tuesday night, you know. If you have healthy food, is there a gym that you could do a special deal with? What are the businesses? Go through all of the businesses that are around that are operating on that Tuesday night and think of, “What’s my offer for these guys? What’s my offer for these guys? What’s my offer for those guys?” And come up with a series of marketing campaigns for them. Some of them are not going to work. Some of them are going to work brilliantly. And that’s what you want to be focusing on. Now, the next thing, let’s go that step down. Then we talked about the quiet hours, one thing that I have found an increasingly trend towards is that restaurants that are trying to be a café in the morning. So, they don’t want to do brekky, because you know it’s a struggle to get up really early to do that. It makes it harder to find chefs to do that, as well. So, what they’re doing is they’re starting at 10 o’ clock for coffee or 9 o’ clock for coffee. And what they’re actually targeting is people who are dropping off their kids to school. So, they’re going for the school mums, drop your kids off and catch up for a coffee. Awesome audience, long dwell time, two or three coffees plus a cake. Now, you come up with an offer for that, you market it through the local schools. Some of those people are going to stay on for lunch, which means that you’re starting to build a really thriving lunch business. Same thing with the afternoon. What is the things that are going on in your area that you could be targeting? One of the things that I’ve seen quite a bit, we actually saw this in Argentina which I found really amazing because I haven’t, I’ve never seen it in Australia. And you think about it, in a retail environment you might only have one person in a shop. So, it’s difficult for them to get out and get lunch. So, a lot of people were doing delivery and I’m not talking about getting on a bike or anything like that. I’m talking about just walking out 50, 100 metres and doing lunch for them. Now, online ordering system makes it nice and easy. “Get your order in by 11 o’ clock and we’ll deliver it to you between 12 and 12:30.” You can schedule around that. Yes, it’s a busy time, but hey, when the sun shines you make hay. You’ve got all of these people who are looking for something good to eat, they don’t want to bring in their food every day but they can’t get out to eat anything. What are the local businesses that you could deliver to? What are the local businesses that you could have pick up offer or a quick dine in and express meal? How is it that you’re going to build your lunch? What special is it are you going to give? And if you’re super busy, and I know, we talked to a lot of people who say, “Look, lunch is flat out, we’re hectic.” Okay, that’s fine. What you want to do is create a second lunch. You know, “Come in after 2pm and get this.” So, treat those people as special. Give them some sort of offer, maybe a discount, maybe a discount. I think though, that this is one of the things that when you’re planning your annual marketing plan, potentially on days, sometimes even on hours, do you want to offer a cheaper option. And a lot of people say, “Well, we don’t discount.” And then you have a look at their menu and say, “Well, look at the price for breakfast and look at the price for dinner. Why is it three times as expensive to have a meal here at night?” “Well, because breakfast items are cheaper.” “Really? Really?” In some respects they are, in some respects they’re not as complicated. But it’s not three times the difference and that’s one of the things is that people already are discounting because of the fact that there’s less people who come out for breakfast. Embrace that fact and have a special, you know, mid-afternoon offer. Target a crowd of people who are looking for something in that mid-afternoon. Fight that battle every hour of every day of every week of every month, to maximize your revenue for every seat that you’ve got in the restaurant. And when you have that plan I think that that makes it really powerful, that’s the kind of thing that will enable you to be able to come up with a marketing plan, an annual marketing plan that is going to make a significant difference to the profitability of your business. One of the questions that I like to ask is, “How hard would you have to work to generate an extra $100 worth of revenue?” Now, let’s assume that food costs are 30%, because your wage costs probably aren’t going to change too much if you generate just a little bit more business you’re probably not going to be putting anyone extra for that. If it’s $100 you’re going to expect $70 of that to flow to your bottom line. Now, if you’re open every day of the year, just for simple calculations, that’s $36,000 a year in extra revenue. And if it’s 30% food costs, round figures, that’s an extra $25,000 in profit and that’s the challenge I want to set to you. Have a think about how you would generate an extra $100 a day. Because that works out to be an extra $25,000 in profit. Not happy with an extra $25,000 in profit? Need to be making more than that? Want to be making more of that? Fine. Work out what it is that you want and then plan backwards. I think, you know, why doesn’t everyone do that? “I want to make an extra $100,000 in my restaurant this year.” Okay, let’s do that. You then start working out the numbers, you then start working out the plans. When you’ve got this annual plan, you’re going to be thinking three months in advance. “Wow, we’re coming into winter. What I need to do is I need to find four sommeliers. I want to find someone to do a whiskey tasting with us and I want to, and we’re going to find three breweries who are going to come out and do taste testings.” You probably wouldn’t get a brewery, because beer is more of a summer thing, let’s save those guys for summer. So, let’s talk to the local wineries, the vineyards, the wine distributors. What are the marketing plans that we can come up with? Let’s fill those Tuesdays, Wednesdays, Thursday nights. Once you’ve got that marketing, there’s a couple of things that you want to be doing. Obviously, you want to be taking bookings online so that you’re building your database. The other thing that you want to be doing is then marketing that to your database and there’s two ways you can do it. So, obviously email, which I think is the easiest way of doing it. Particularly if it’s a CRM driven email system. So, we’re going to be building this into our free CRM system. You want to know all of the people who like red wines, let’s send them an email. All of the people who like whiskey, let’s send them an email. Let’s fill this out really quickly. 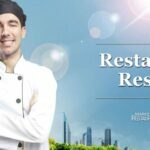 Sending an email to your existing customers who love your restaurant is the easiest way of growing revenue. Quick and simple. These people love your work, you don’t have to sell them on anything. If you don’t have a strong database, or you want to grow more aggressively than your database is allowing then you continue to grow your database, let’s use Facebook’s database because it’s massive and awesome. Let’s target everyone who likes whiskey within 20 kilometres. Boom. We’re doing a fine dining experience, let’s target everyone with a household income above X amount of dollars who like whiskey. Boom. Let’s find three premium whiskey brands that people, so not big-name brands but prestige brands. Let’s target the people who like those brands, and get them. Have a conversation with them on Facebook about your whiskey tasting night. Boom. This stuff writes itself, people. If you’re not setting the profit number that you want, you need to start doing that. And we talk a lot about goal setting and, you know, I’ll be completely upfront. We miss 75% of the goals that we set. However, we make progress on most of those goals. So, we’re always growing, we’re always moving forward, and that’s the most important thing. Sometimes we’re not moving forward as quickly as we want to, you know. Sometimes we’re doing the wrong things. Sometimes, you know, our executions a little bit off. But every time we set a goal and we miss, we learn something about it. We sit down and go, “Well, why didn’t that work?” That makes us better marketers, that gives us much more insight into how we should be running things. So, that is how to create an annual marketing plan. Start at the start of the year. Get a calendar, lay it out with your public holidays. Then start looking for the annual days that you can start targeting. Start thinking about the week, start thinking about the day, and start thinking about the hours in your restaurant and come up with a marketing plan around all of those times that you aren’t getting the revenue in that hour that you want to be getting. We covered a lot of ground, we did it very quickly. Hopefully you got something out of it. Check the show notes, because what I’ll do is I’ll have some sample information there around international days as well as I’ll have a big spreadsheet that you can download with the days in there that you can start planning stuff out. And I think it’s good to have that, once a month you just sort of check on it. “Look, we’ve got Melbourne Cup coming up. Father’s Day’s coming up. Valentine’s Day’s coming up. Christmas is coming up. New Year’s.” Whatever it is going to be, let’s start thinking about the marketing campaigns that we’re going to be doing. That’s it. I hope you have a really, really busy day. Bye.